A developer admits that Star Trek Online's PVP adds so little to the game, it wouldn't be missed if it was removed. It's rare in this age of perpetual PR, where creators are constantly plugged into the marketing machine via Twitter, Facebook and forums, to see any developer admit that the game they're working on is anything less than brilliant, even when they're presented with evidence to the contrary. It's refreshing to see at least one developer who'll sit back and say, "yeah, okay. This is a bit crap." So my hat goes off to Cryptic's Dan Griffis, who is currently the only developer working on Star Trek Online's apparently less-than-spectacular PVP content. "The first question we (the developers) had to ask ourselves is can PVP be "saved?"" he wrote on the game's official forums. "I don't use the word "saved" lightly. I don't mean fixed, updated, or fun. I literally mean saved." "Something has to be done, PVP cannot stay the way that it is now. We either have to try to save it, or take it out of the game completely," he continued. "Right now because PVP is in such bad shape we (the developers) have to decide if we think we can turn this problem around. Participation in PVP-related activities is so low on an hourly, daily, weekly, and monthly basis that we could in fact just completely take it out of STO and it would not impact the overall number of people [who] log in to the game and play in any significant way." Griffis goes on to outline his plan for the PVP, adding that some of his changes "are not going to make a whole lot of sense at the time because you won't be seeing the whole long term plan I have in store for PVP over the course of the next year or so." 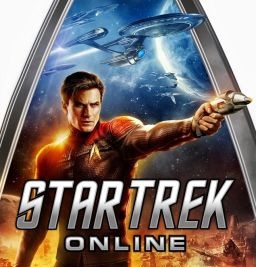 Star Trek Online was released back in February 2010, it garnered mix reviews and failed to make much of an impact. The game was switched over to a free-to-play model earlier this year.